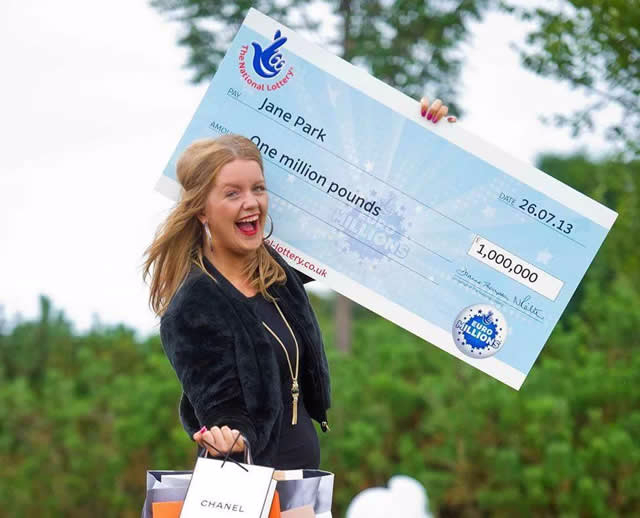 Then 17 year old Jane Park made headlines in 2013 when she won a £1 million EuroMillions jackpot, but since winning she's had terrible luck in her love life. After a string of failed relationships the youngest ever lotto millionaire has launched a website where potential boyfriends can apply for a £60,000 annual allowance. The entire process is going to be filmed and released as a documentary sometime next year. Since winning the lottery Jane has been involved in a number of rocky relationships including X-Factor finalist Sam Callahan and teenage football star Jordan Piggot. Play for the $107 million Powerball jackpot now! Click below and get tickets for the upcoming draw. Want to improve every aspect of your lottery game? Check out these winning tips to help you take home that big jackpot! Did you know that not all lottery numbers are created equal? See what the most commonly drawn lottery numbers are right here. Just How Much Does A Euromillions Lotto Ticket Cost? You Are Our Next EuroMillions Lotto Online Winner? Did you know? : Giant Lottos Online regularly notifies enlisted players exceptional discounts and offers that are not available in the market anyplace else? Register your account today and find regular discounted offers, that is up to 50% off the worlds richest lotteries!